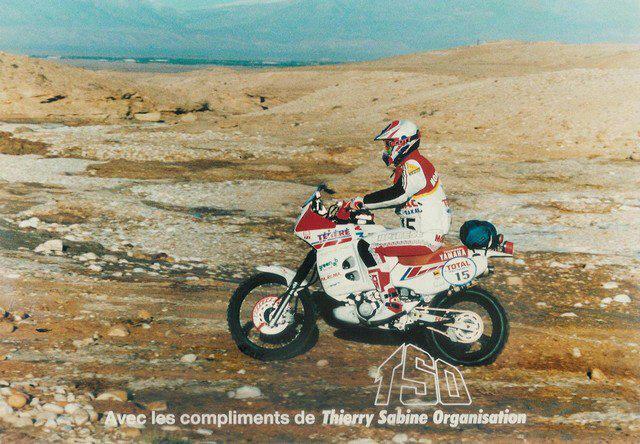 The Paris-Dakar race is not a feat of destruction», replied on 1986 Thierry Sabine who reminded him of the sad human toll paid to Dakar. 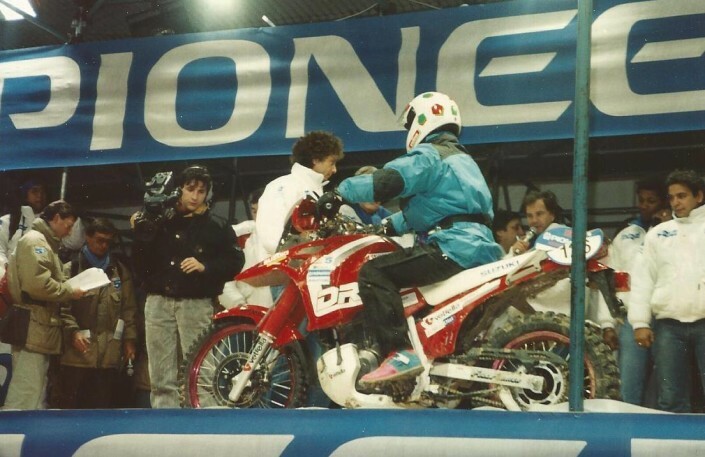 A strip inaugurated by Patrice Dodin, fell off his Yamaha in the first edition: the French were going at the start of the fourth leg with the helmet fastened, When it fell and knocked on a stone the head uncovered. Sabine himself died on 14 January 1986 along with other 4 people not far from Timbuktu (Mali) during a sandstorm: their helicopter crashed into a dune 30 meters. The next day, during the briefing for pilots, Race Director Patrick Verdoy reassured those who feared that the race would stop: "The continuation of the rally will be like Thierry would've wanted, Sports safety and rigour will be insured». 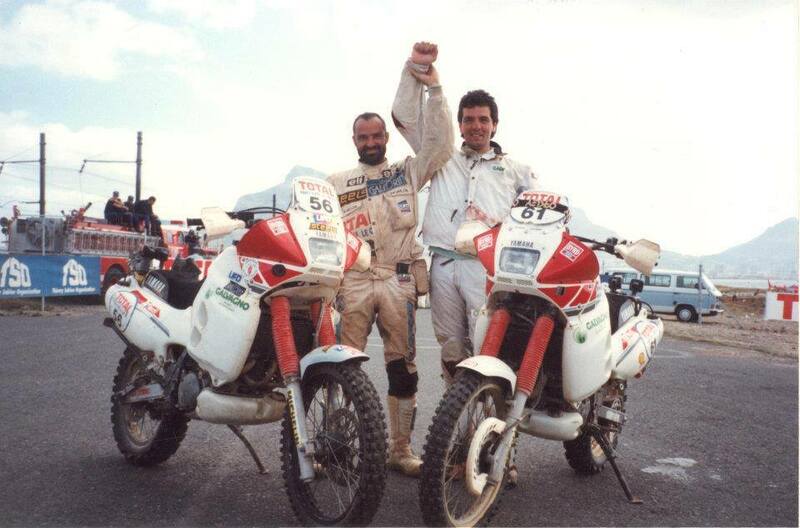 But it was not enough to prevent other tragedies, starting from Giampaolo Marinoni, fell in the final stage of that Edition: the tester of Cagiva came up in the saddle for the last 40 km and hewed the finish before crumble to the ground. Died 2 days later of liver lesions. 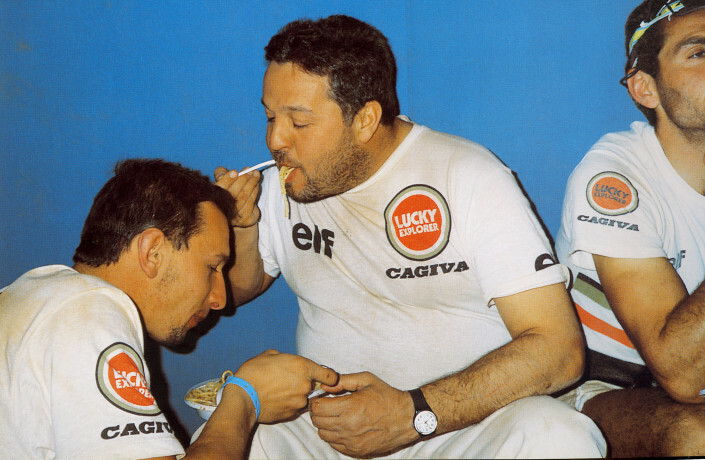 Similar fate, 19 years later, would be touched to Fabrizio Meoni, winner of the editions 2001 and 2002. With the abandonment of Africa the streak of blood (23 pilots dead outnumber other deaths among inhabitants, spectators, journalists and mechanics) seemed destined to break. Instead, in South America the tragedies there have been. Already 5 the pilots dead in motion, starting from Pascal Terry: in 2009 He had pulmonary edema in the pampas and found body after three days. 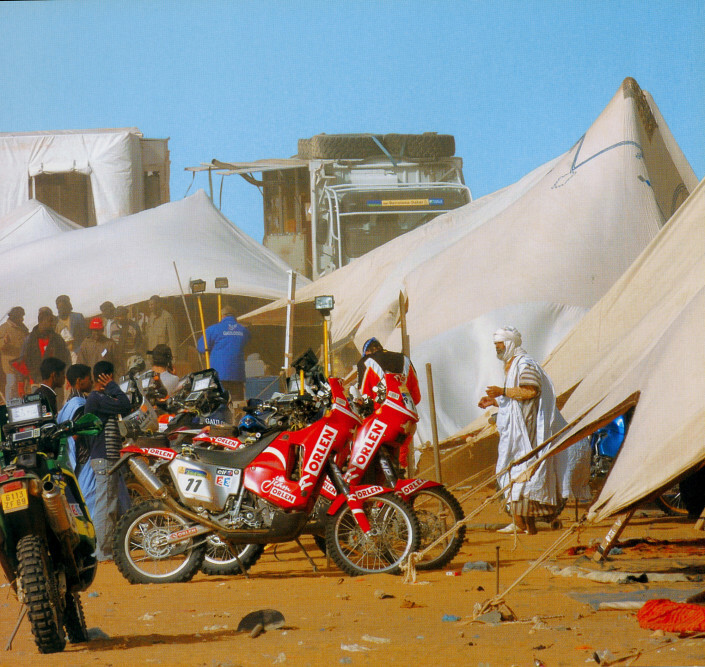 This is the list of riders disappeared in various editions of Dakar Africa to which must be added the deceased between the crews and support staff, organizers, inhabitants, spectators, journalists and victims of traffic accidents caused by competitors. 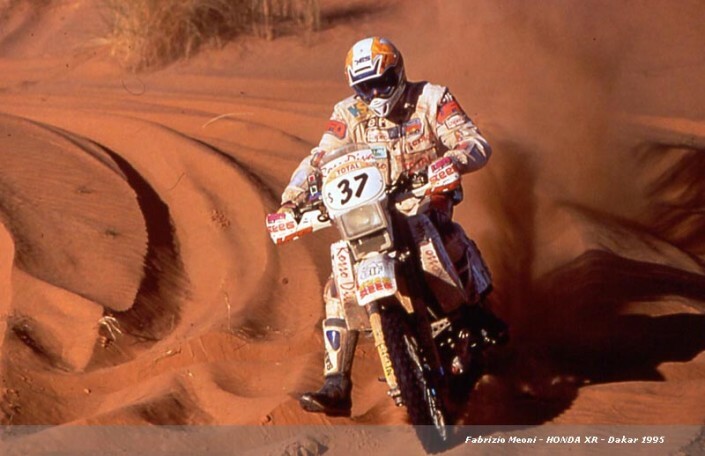 Dakar 2002 – From the fourth to the seventh stage Nani Roma is leading the General, at Zouerate in the eighth, Meoni takes the lead. Nani starts his pursuit: the twelfth the two are in close proximity and with minimum detachment reaching Tichit in Mauritania. 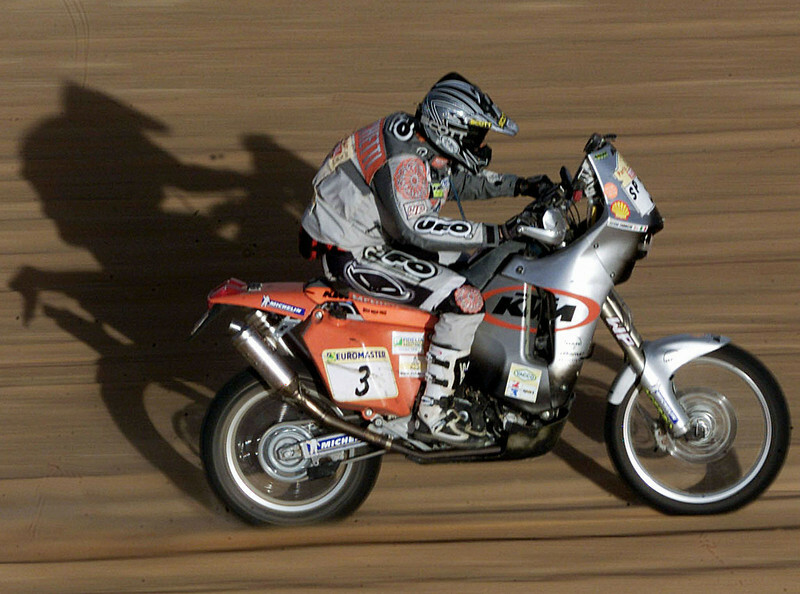 It takes only two decisive stages for the final victory of the Dakar 2002. And this is where amazing happens. Quattrordicesima stage Tichit-Kiffa 473 kilometers. Nani turns around and keeps on going, He turns again and continues on his way, don't know if you missed it or if it is the right way. Because there is no one? Where are the others? Yet the track is here, the GPS says so, even the roadbook. Or maybe not? "I was supposed to do a half turn and go look for the track good, It was clear that it could be the one. I felt that I was wrong but I didn't have the clarity to come back ". A few meters after Nani is over the crest of a mountain, tries to climb, trying to find an opening, Search a valley in which slip, find a hole to exit the tunnel. Nani is in cage, bangs his head against the bars and looking for an exit as a tiger at the zoo. Where is stuck cannot be a ground to Dakar, is a path of trial!. The bike falls from his hands, the slips down the mountainside, try to climb, get out but still falls. His bike is too heavy and bulky, No one would be able to get her out of there. Does not pass anyone. Fabrizio is a few meters from him Crow, but down at the side of the mountain and travels in a piston diameter 120 per hour. While the other goes, Nani tries to make impossible Mule. The Grand Champion, hope that seven years earlier had caused to be written by himself, is once again on her knees. Thanks to Guido Conter for having represented in words what the video could not. http://www.parisdakar.it/wp-content/uploads/2017/03/Schermata-2017-03-31-alle-12.18.59.png 927 1229 iron http://www.parisdakar.it/wp-content/uploads/2015/11/new-logo-PD-300x65.png iron2017-03-31 10:20:172017-03-31 10:22:41Nani Roma and "fear of winning"
We like to remember him so: and true blood! Many people ask me "Pat" on the helmet of Meoni in a video of the Dakar. Nothing that, just that with Fabrizio had reached a great feeling and then I could "afford" to do something like. 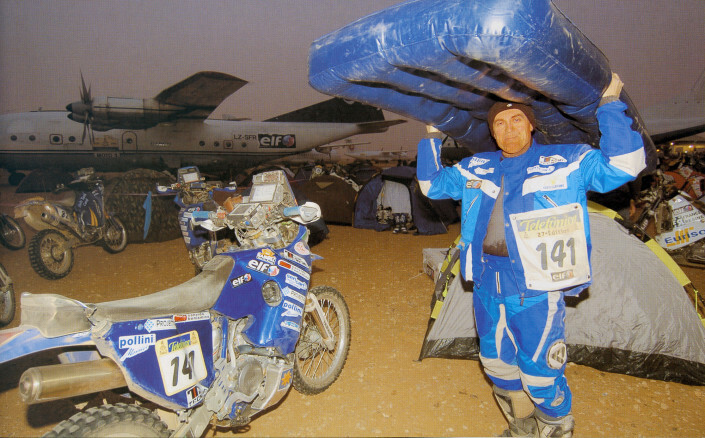 The feeling grew over the years, starting from my first Dakar in 1998, When in a new year's Eve in Paris, a few hours after departure, asked me if we were to stay in the hotel room in front of the TV watching cartoons, When everyone was partying. I laughed and we started talking about Dakar and revealed to me some tricks to better address the race. Always together in transfers, hours and hours in the saddle, and often in the rain, (do not wait to arrive in Africa), by sharing a few minutes stop at the outlets. "Forbidden" consummation when we stopped to get gas, told me the Dakar doesn't have to waste time and assistance you should arrive as soon as possible, "I remember it well!”. In companies at the bivouac was a large, greetings and tips for all, Tuscan oil always in "table" in the sand of the bivouac, and some made him shoot the balls, had the cashier the right amount for race days, but then I did offer again. 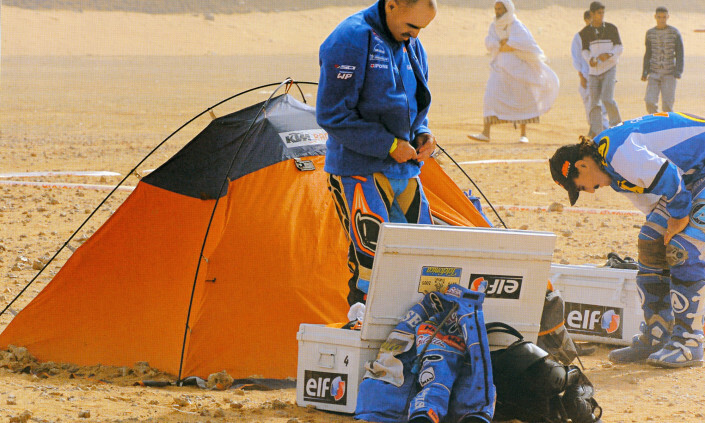 I wondered then an opinion, believer and active as always, We all know of his mission in Dakar. Speaking of the city of Dakar, When in 2001 won for the first time the race, the dinner/party I forced to "get drunk". 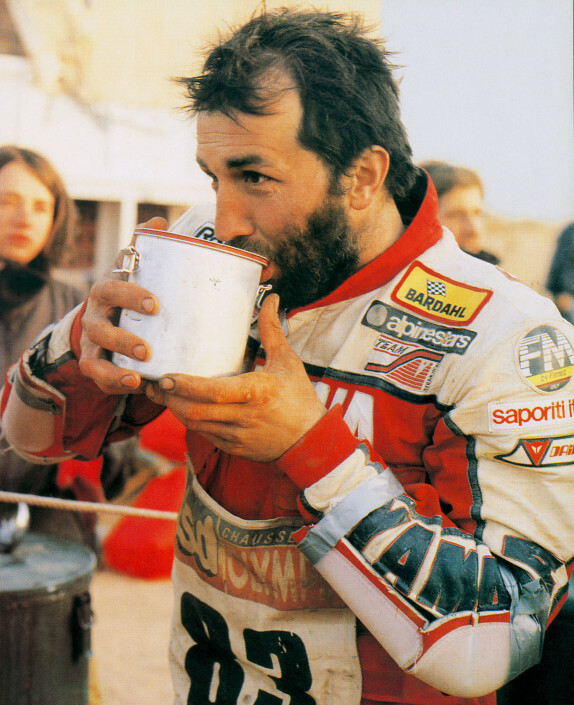 I couldn't see Fabrizio toast with Coke all night while KTM staff, on the contrary, make toasts his victory with wine and beer, so he set a goal to drink at least three glasses of wine during the evening, I replied: "and it takes?”. One two three in a row ... in less than half an hour we had a phenomenal fit Meoni, Austrian speaking like the toscano. Strategic and combative just like a “Wild boar”, and so they called it, He knew Special assault with force and vehemence, but he also knew spending "without a trace". In fact, It was the strategy that allowed him to win with the twin LC8, in a stage where you had to go on a Wait Point, situated atop a steep cliff, (What Rome tried to climb but then fell and dissolved). Fabrizio with a quick and clever reasoning of CAP (the degrees of the compass), He realized that Rome and I, We were leaving before him, We were on the wrong track, so went out of the track in order not to leave traces and, by cutting off the track for a few hundred metres, turned down the right track that carried on top of the cliff. So it was the only one to find in a short time the direction while we all "we grazed" in search of the track, wondering where it was finished Mahmoodi. 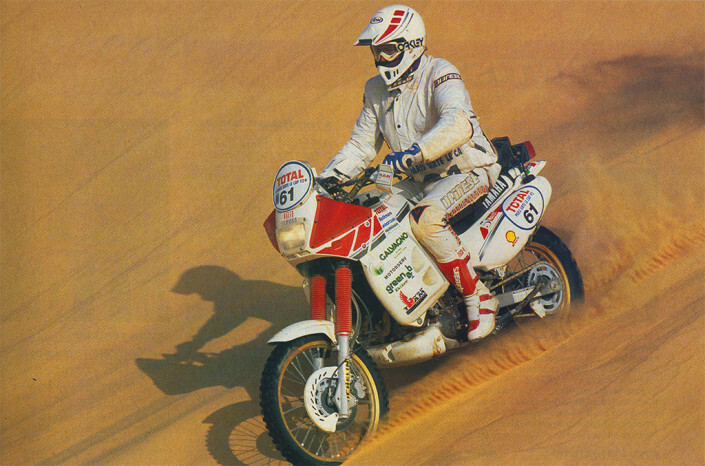 The gap gained enabled him to win his second Dakar with a motorbike – believe me I assure you – really challenging, the LC8. Outside of competition I shared with Fabrizio also many weeks of testing. On these occasions were consuming days and nights sharing room, discovering the various habits, Le manie, tastes, the most loved television programmes, food preferences, In addition to the ride side by side in the odious Chott soft sand for kilometre after kilometre to test the reliability of the engines under extreme conditions. He came to take 1.007 kilometers in one day on a ring of 38 km, (I made her 150 less). Also the development of LC8 was very interesting because it was an all new bike and Fabrizio surprised me with his sensibility when he realized that the position of the platforms was changed so that the bike will not turn. Did the test, We were sparring in the gym, in the pool and running, but with him it was impossible, too practiced, even the very well-trained Arnaldo Nicoli knows something. Forwarding remember the laughter at Battle of King, memorable to Ibiza. There was the race with the Jet Ski from Ibiza to Formentera, Fabrizio and I, "Old Sea Dogs", We chose the wrong model of jet skis to the open sea and arrived at the end so exhausted that we looked like two castaways. I could tell you many stories, but I will not bore you, and so let me explain why the famous "slap" on the helmet. 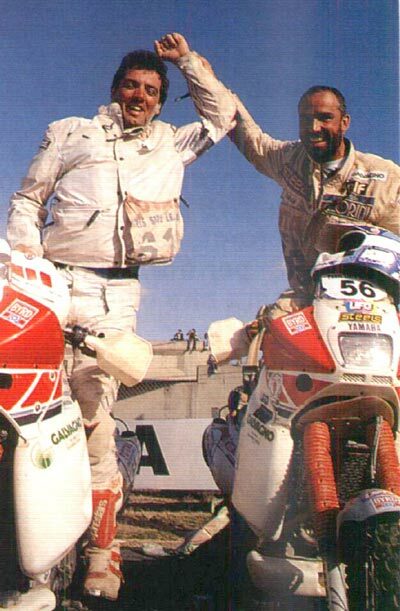 Was the Dakar 1998 and we were in Mali, in the stage from Gao Taoudeni basin where for safety, saw your mileage, was cancelled the special that became a transfer of more than 1000 kilometers. As I said before, "he in Africa, He wanted to arrive early at the bivouac ", Thus he went to drive almost as if it was a special and I, by good portant d'eau, I had to be with him, but around km 800 I was beginning to have some balls full of keep a pace like that, so I went over and I gave him the famous "tap" to bring to your attention and warn that we could also slow down for a few kilometers, Since it didn't seem like very late, but he dropped that much on pace. He was right because, even though we were the first to arrive to the assistance, It was night by several hours, Since the last 150 kilometers ran among a tangle of slopes in the Fesh Fesh which, faced with the lights of headlights, It was very complicated to drive while striking the right CAP and balance. Anyone who has tried knows what it's like. 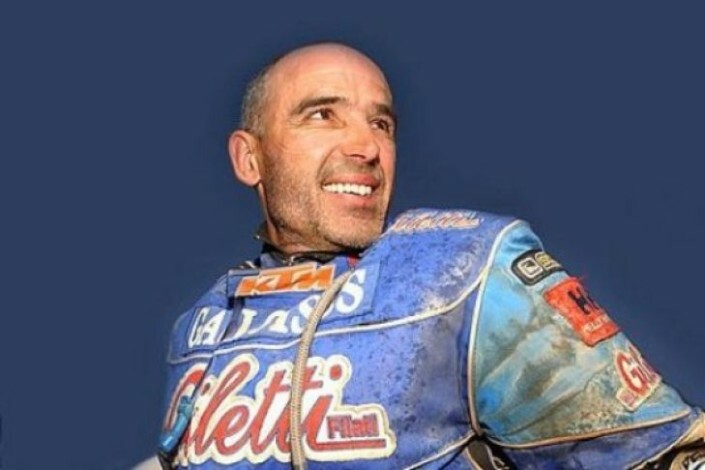 Unfortunately, his favorite race has taken his own life, leaving a deep sadness to Elena, Joel e Chiara, as in all of us, but we will remember him always for his sympathy and helpfulness from Grand Champion and the person who was. They had met several years ago. 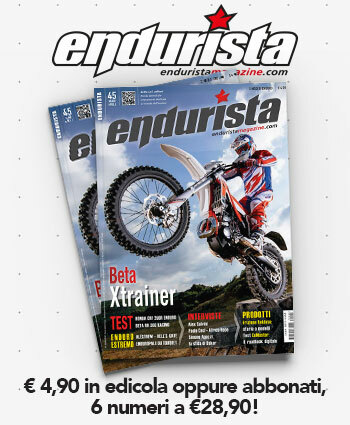 Before junior enduro Championship, then in the Tuscan League of the same specialty. Were the 1980s. On one side was the goriška region «a little’ Gascon and always ready to joke», on the other, the Florentine «sloppy and explosive physicist». Goriška was Franco Zotti. 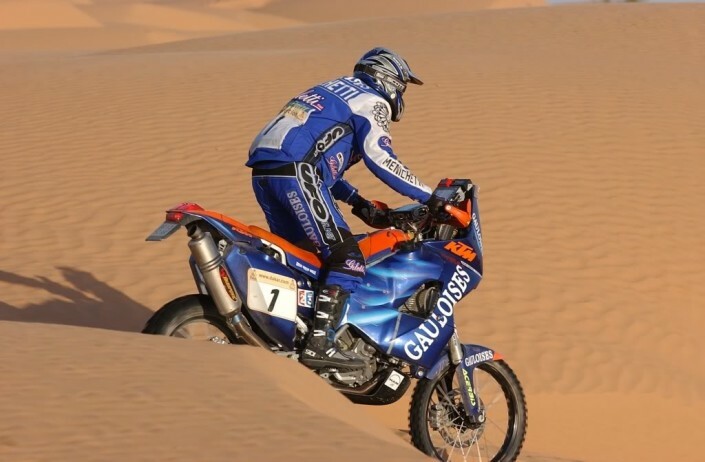 The Florentine, Instead, the name of Fabrizio Meoni, whose life has gone off in the South of Mauritania, in the final stage of the Paris-Dakar. Different characters but sharing the same «passion» for wheels with claws. "The races were always very hard fought – Remember -. When it got to push, Fabrizio pulled back. He had grit for sale but was also very technical». 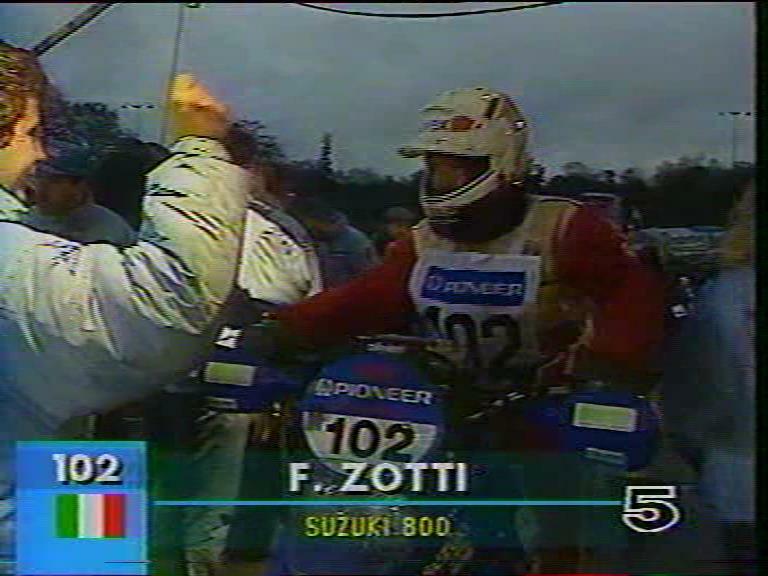 Zotti barely holds back the tears. "I was born a son. But he died a friend», says. Councilman-biker, In fact, has just celebrated the birth of Ari (in honor of beauty therapy Ari Vatanen) but his heart is broken for the death of Fabrizio Meoni. 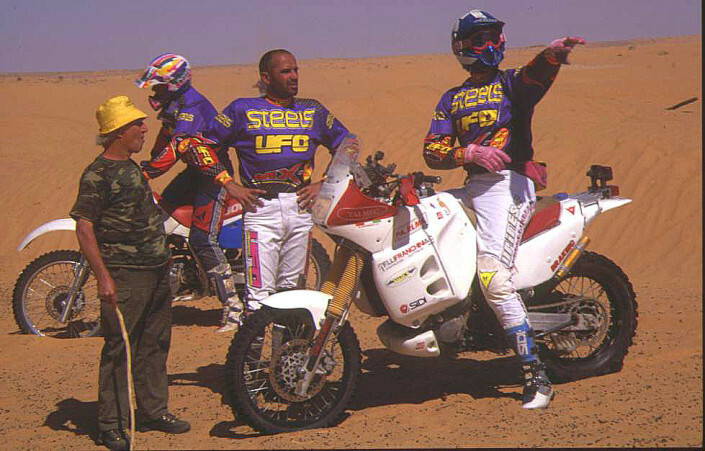 The two – In addition to racing enduro National Championships – have in common the participation in various editions of the Paris-Dakar. "But we never crossed. He started later and now with official means», Remember sighing. I remember canned Fabrizio Meoni? "He was a true sportsman. Loyal, Serio, a professional from head to toe. He also had an excellent technique. Ah, How many challenges in the Junior Championship! Though, even though we were opponents, We have always been friends. In our environment all value and respect all». 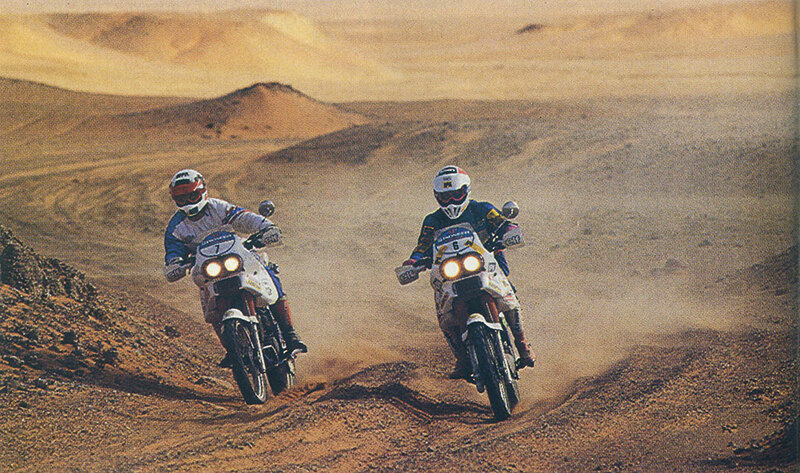 The Dakar, though, have you ever crossed. "No. He started later despite his age is more or less the same (Zakaria has 45 years, Meoni had 47, Ed). Fabrizio, though, He entered through the front door, with factory bikes». She, Instead, she competed also from private? "I have taken part in six editions of the Dakar, from 1988 at 1993: four times in motion (riding Honda 600 XR and 250 XR and two Suzuki 800), Once on board a truck Mercedes Unimog and, the last, driving a Daihatsu Feroza. Unique experiences, unique». "It's a grueling competition and risky. Those who participate must take into account that you might not come home. And don't think that accidents are always spectacular. The Dakar you die, sometimes, because of stupid accidents. I still remember the death of poor motorcyclist giapponenese Nomoto». As he lost his life? "We had just travelled from Paris on new year's Eve. Was the 1988. Nomoto, After few kilometers, It was centered in the Middle by a car driven by a drunk. He died instantly: He didn't even have time to see the desert. And then I can not forget the terrible death of fellow travellers: they sleep under a truck, the pilot – the morning after – sailed and li swept. I could mention dozens and dozens of other cases. 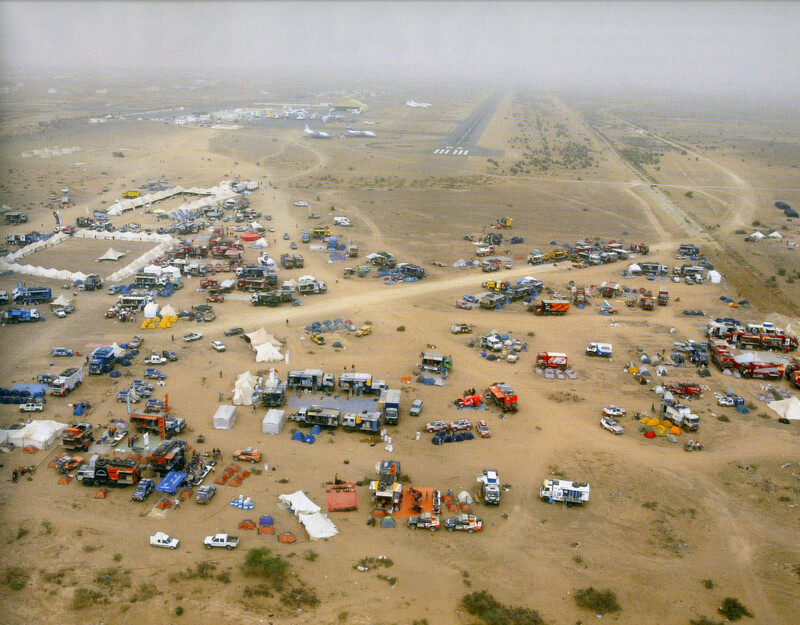 In 1988 died 10 people among pilots, organizers and locals, the year after fifteen '. And the experience is not enough. As evidenced by the death of Mahmoud. "The desert is a traitor. The pitfalls are everywhere. Only where I was sure to find flat desert run, also reaching the 150 per hour. In other areas, the pace was more tranquilla: having no assistance, I couldn't afford to break the bike. The big, Instead, whizzing at high speed. Their goal is to win, My was to arrive in Dakar». And in Dakar we arrived with the tiny Honda 250. «Incredible satisfaction. 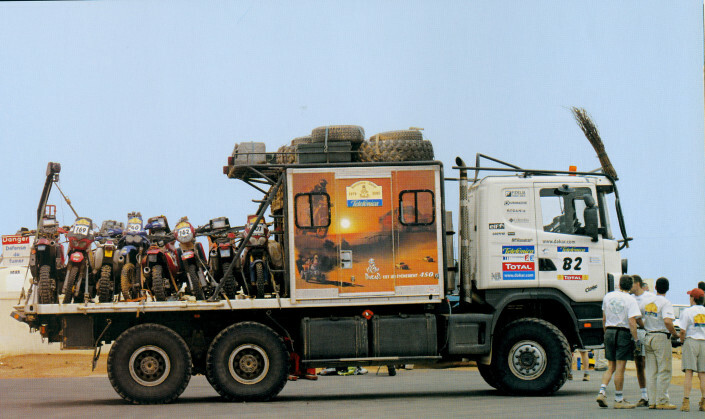 No Rider in the history of the Dakar was able to go to the end with a bike so small. For me it was a victory». One last memory of Meoni? "I was impressed her sentence that this would be his last Dakar. A sentence almost prophetic. Hello, Dear Fabrizio». It's been ten years, but it seems like yesterday. 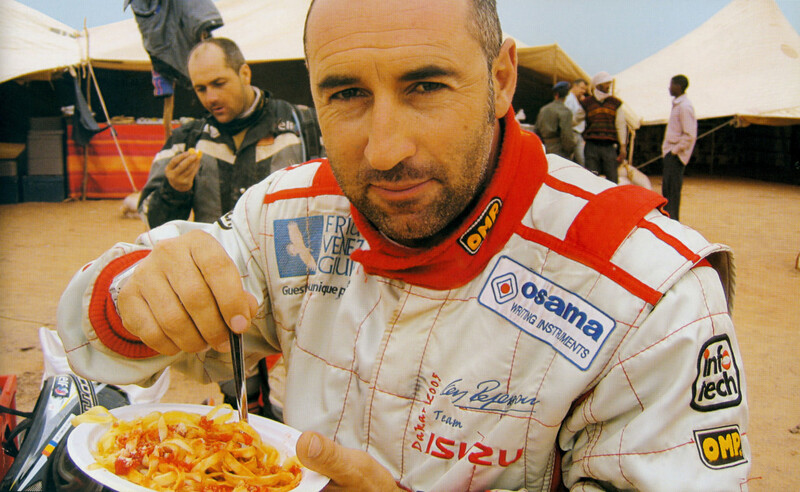 On the 11th January 2005, during the course of the eleventh stage of the Barcelona-Dakar, between Atar and Kiffa, per kilometre 184,85 on a stretch of track with several undulations dies Fabrizio Meoni. The accident is a sudden, terrible and irrevocable, with a dynamic that you can't still to explain fully. Cyril Despres, that runs in front of the Italian, does not notice anything. Will Patrick Zaniroli feral known himaunt on arrival, and a week later the French will win his first Dakar. Shortly after arriving Marc Coma, Isidre Esteve and David Fretigné. The latter activates the radio safety recalls balises on site the medical helicopter. Meoni is subjected to 45 minutes of CPR, but there's nothing left to do. Meoni had accomplished 47 years on 31 December. 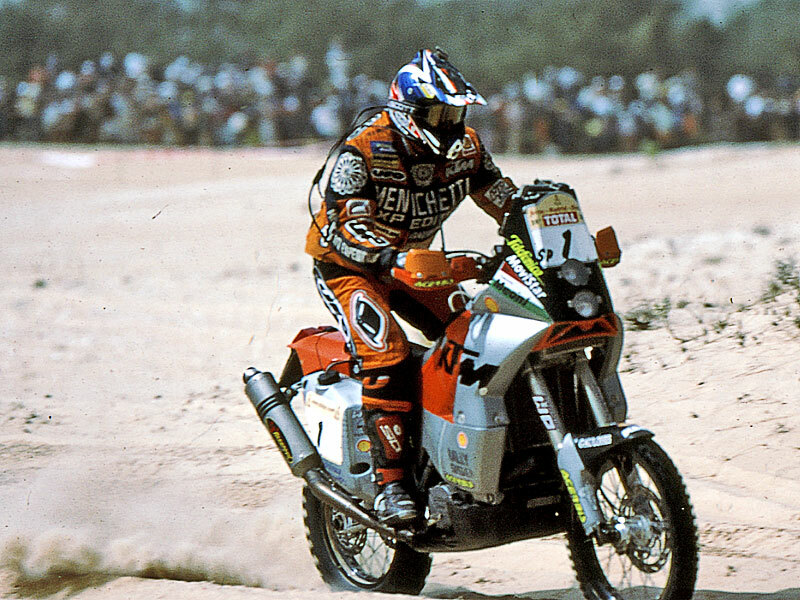 After Motocross and Enduro, Justin Meoni was passed to Rally in 1988, in 1990 He had won the Incas Rally, from Lima to Rio de Janeiro, a KTM 500 two-stroke, and in 1992 He finished 12nd place his first Dakar from Paris to Cape Town. In an impressive crescendo, Fabrizio Meoni won in Tunisia, in Egypt, in Dubai, and in 2000 the World Cup. In 2001 Fabrizio Meoni won his first Paris-Dakar, inaugurating the series of KTM that lasts until today, and the following year was repeated, winning the Arras-Madrid-Dakar with KTM twin that had developed with Bruno Ferrari, the "iron", and Arnaldo Nicoli. 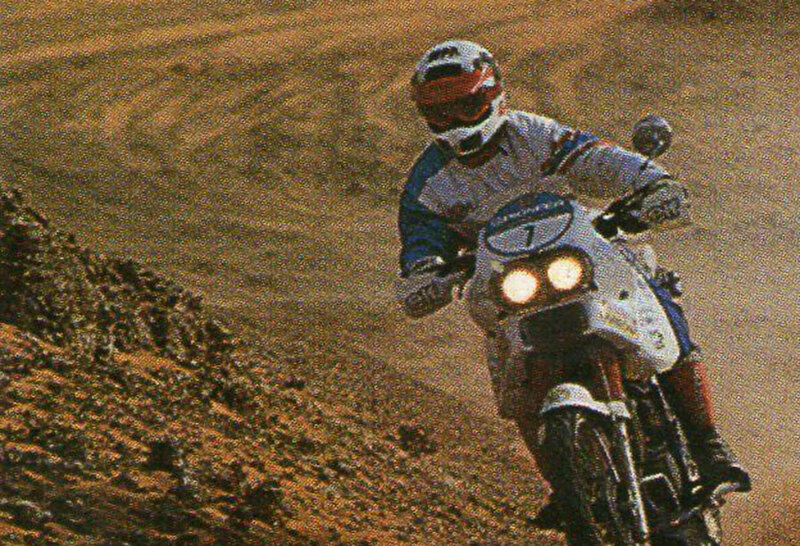 Past the shop he ran in Castiglion Fiorentino to the mechanic and friend Romeo Feliciani, Fabrizio Meoni wanted to do even a couple of seasons and of Dakar, then retreat. 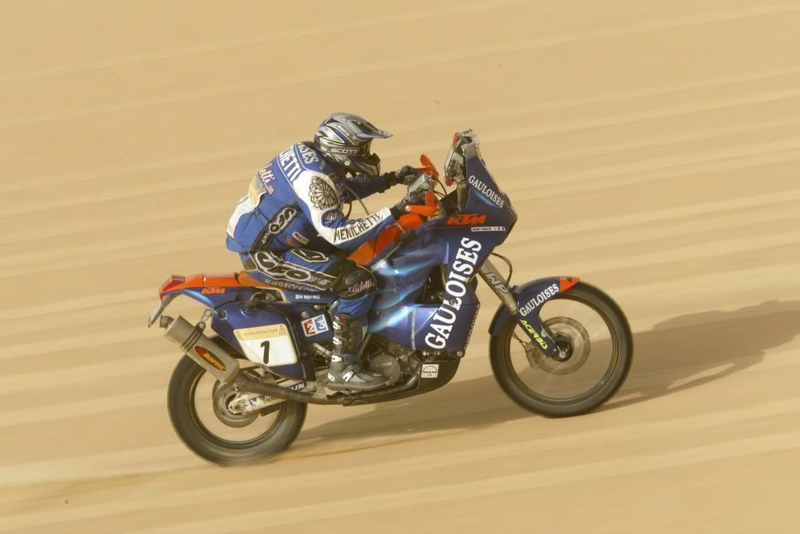 In 2003 He had finished in third place and in 2004 on the sixth but with some boredom of engine and tires, so he decided to play even the Edition 2005, because he wanted one last Dakar without problems. 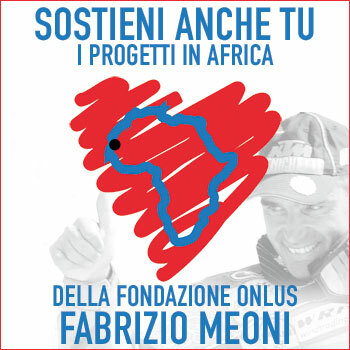 January 11th Fabrizio Meoni was on course for victory. 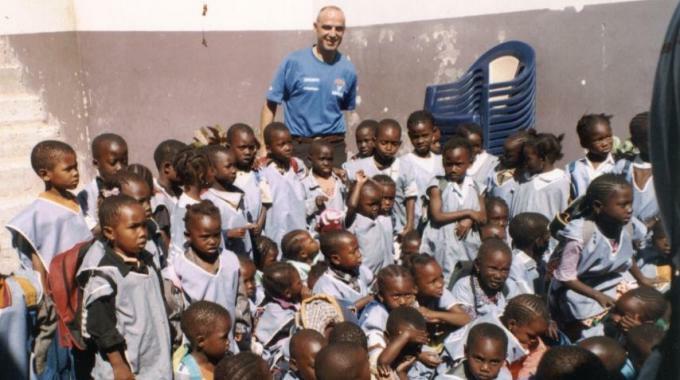 In a suburb of Dakar a school bearing the name of Fabrizio Meoni. For years he worked on the project, Unbeknownst to all, with Father Arturo Buresti, and the testimony of his sensitivity to the lives of the less fortunate, his immense love for that race and for the desert, for the simple things in life. Fabrizio Meoni knew enchant for its unpretentious authenticity, He had the charisma of the right people, opponents feared him and that they were proud to compete with him, men who respected him, friends who don't ever forget. Talking and writing about characters who have left an indelible mark in the sport and they are no longer among us is never easy, We have therefore preferred to remember the words of those who knew him well. 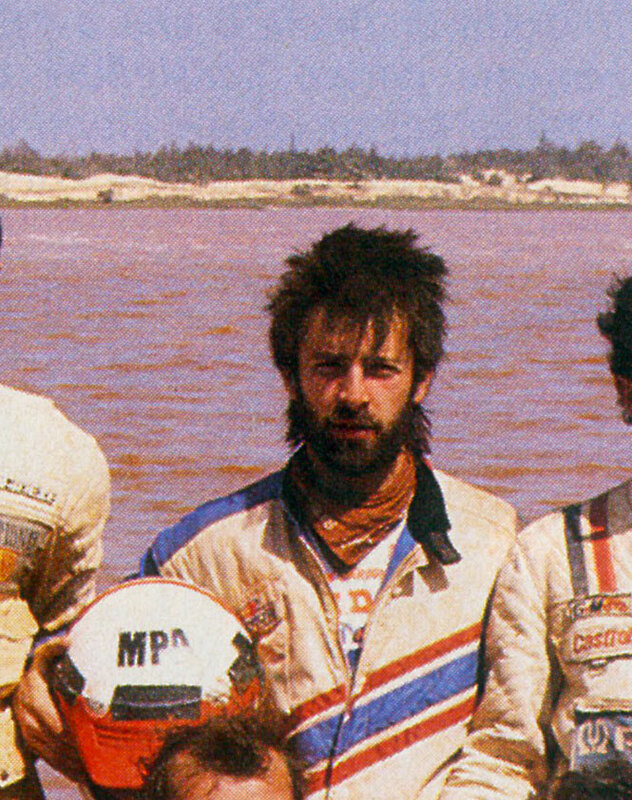 Maximum Montebelli had participated in seven editions of the Paris-Dakar. In five of these had managed to cross the finish line and in 1993 It was his best finish, eighth, in front of many famous and overpaid professionals. With him I think he's gone uNo piece of history of Dakar, the real one as he liked to call him, had won the Marathon class at the Paris-Le Cap with Meoni on the same team, the Yamaha BYRD, I like to think that we have found ourselves up there and continue to talk about racing sand dunes and special stages. But the bike was also his work, especially with regard to the implementation of special tanks. For this he was nicknamed, and known throughout Italy and also abroad, like the wizard of aluminium.